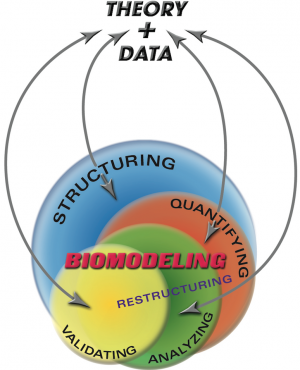 Our lab is devoted to developing and using biodynamic modeling and computational approaches for characterizing and solving problems in the life sciences. The current focus is on using these methodologies to better understand health and disease processes, at any level, with the goal of more effectively providing medical and pharmacological interventions. “Data speaks first” in our lab – meaning research and teaching involve integration of basic science, math and engineering methods in a way that’s maximally governed by real life-science data in formulating and interpreting biosystem models. 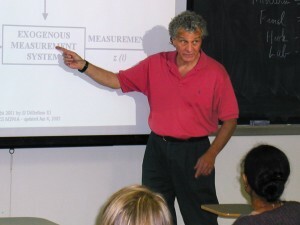 Primary research and teaching activities include: development of modeling methodology and analysis algorithms; their application to particular physiological and pharmacological systems; and software development (apps) for life science research and education. See PROJECTS and TEACHING for details. ©2017 UCLA Biocybernetics Laboratory. Site developed by Alejandro Rioja from Flux.LA.